May 1940 - Paris. On the eve of her eighteenth birthday, Claire hears the devastating news: the German army has invaded her homeland, and her beloved Paris has fallen. Within months, her life is turned upside-down. She takes in an orphaned Jewish toddler only days before her beloved German-born husband Remy is forcibly conscripted into the Nazi army. In desperation she connects with other young members of the French Resistance, determined to fight back in whatever way she can. Armed only with her wits and her 35mm camera, she looks for the one photograph that will expose the Nazi horror for what it is. 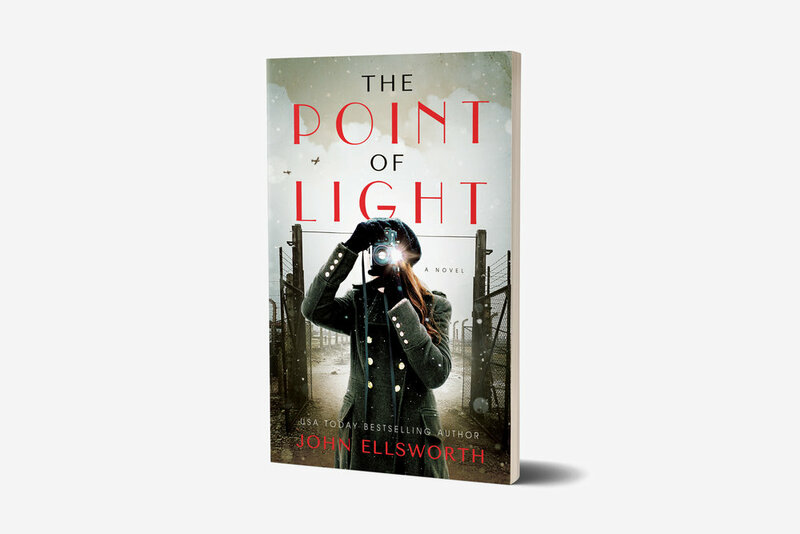 The Point of Light is part of the Historical Fiction series, a collection of John Ellsworth wartime novels. If you love page-turners with thrills, clandestine plotting and a dash of romance, dive into these books today! From USA TODAY bestseller, John Ellsworth.